What is yoga? A brief introduction. October 26th 2008 - Yoga is a A 6,000 year old science of self discovery and healing. Now, this is a huge topic. In this post, I’d like to give a rudimentary outline of the types of yoga, to demystify and inform – look for more in future articles. Mainly, I’d love to hear about your experiences with yoga and begin a dialogue of questions, comments, impressions from all of you. What you’ve most wanted to know about yoga and were afraid to ask…I’ll make every attempt to answer or get some answers for you on selected topics! There are many forms of ‘yoga’. For example: Hatha Yoga- the yoga of physical postures, Karma Yoga - the yoga of selfless service, Nada Yoga – yoga of sound, Bhakti Yoga – yoga of devotion, Gnana Yoga – the yoga of scientific self inquiry. The practice of Hatha Yoga, or the yoga of physical postures, is what most of us know in the West. Within Hatha Yoga, there are many styles and traditions, most named after teachers who originated specific ways of presenting these poses, like Iyengar Yoga (named after B.K.S. Iyenger), Kripalu Yoga ( Swami Kripalvananji), Bikram Yoga (Bikram Choudrey). Some names are descriptive (Power Yoga, Hot Yoga (Hot Yoga offered at PCYH Mondays, 5:45 pm, Wednesdays, 10:30 am, Thursdays & Fridays, 6:00 pm and Saturdays 11:00 am - yes, you sweat!) – Restorative Yoga (next workshop at PCYH Sunday, October 26, 2:00 pm)). Each style or tradition has a particular way the poses are taught and presented – the precision of Iyengar Yoga, the heart felt yoga “on and off the mat: of Kripalu Yoga. Some practices have been synthesized for special populations – Yoga for Kids (offered at PCYH Thursdays, 4:15 pm), Yoga for Teens (Tuesdays, 4:30 pm) Pre-Natal Yoga (Offered at PCYH Thursdays 6:00 pm and Saturdays, 12:00 pm), Yoga for Cancer Survivors, Yoga for Rejuvenation, Gentle Yoga for Seniors, Yoga for Parkinson (offered at PCYH Sundays, 11:45 am), Yoga for Back Pain. All these approaches aim to balance the mind, the body, and the spirit through the Asanas or poses; however, the emphasis varies. Some put emphasis on the strict alignment of the body while some focus on the coordination of breath and movement. Some are more vigorous, some more gentle. Whatever the tradition, all increase flexibility, enhance strength, boost stamina, and increase awareness of our bodies and ourselves as we release muscle tension, create a sense of calm and peace, and feel rejuvenated. No style is “better” than the other. For some people, its convenience – the time and day of the week or location a class is offered, for some, it’s the personality of the teacher which attracts, some folks really find one style more suitable to their personality or needs. Some folks mix several different approaches to find a practice most suitable. I liken it to flavors of ice cream – some folks like chocolate, some vanilla, some like a swirl! And, if you’re just getting started, one thing to keep in mind – it’s always called the “PRACTICE” of Yoga – we’re never perfecting anything! So, let go of doing it “right”. Learn to listen to and trust your body as your greatest yoga teacher. One of my first yoga teachers announced, “I only want you to be “C” students – what a concept! On a cautionary note, it is important to find both a teacher and a style which suits your specific needs – and to look into the qualifications of the instructor – as in most fields. There are schools which certify yoga teachers in 2 days (you won’t find those teachers at PCYH! ), there are some teachers who have studied for years. The current standard in the US are teachers who have been certified by schools of yoga recognized by the Yoga Alliance as having completed a minimum of 200 hours of training covering specified subjects like anatomy and physiology, philosophy, ethics, teaching methods, etc. There is also a 500 hour certification recognized, as well. Later, Yoga: It's not just a gym sport! About Deborah Metzger: Founder and director of the Princeton Center for Yoga & Health, Deborah Metzger, is a certified advanced Kripalu Yoga teacher and certified Dharmic Yoga Instructor and Phoenix Rising Yoga Therapist, 500 Hour Registered Yoga Teacher with the Yoga Alliance, a licensed social worker and holds an MSW from the University of Pennsylvania. She has completed the Yoga of the Heart: Cardiac and Cancer Certification Training, and additional courses in Structural Yoga Therapy and Reiki. In addition, she has studied with Jon Kabat-Zinn and Saki Santorelli, Mindfulness Based Stress Reduction (MBSR) Program 7 Day Residential Retreat and the 9 Day Summer Intensive Practicum with Melissa Blacker and Florence Meleo and co-leads MBSR and Mindfulness Based Cognitive Therapy programs at the Princeton Center for Yoga & Health. She is currently enrolled in the 2 year Hakomi mindfulness based psychotherapy training program. 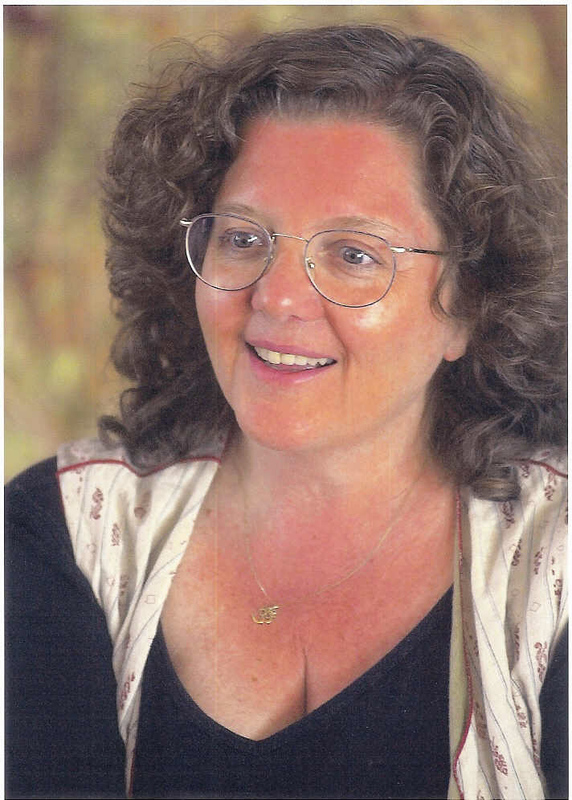 In addition to teaching throughout the area and at the Princeton Center for Yoga & Health, Deborah has led related workshops in corporate settings such as Johnson & Johnson, Merrill Lynch, L’Oreal, Merck, Summit Bank, Devry Institute, Princeton University, and State agencies, as well as local community groups, and has assisted programs at the Kripalu Center in Lenox, MA.